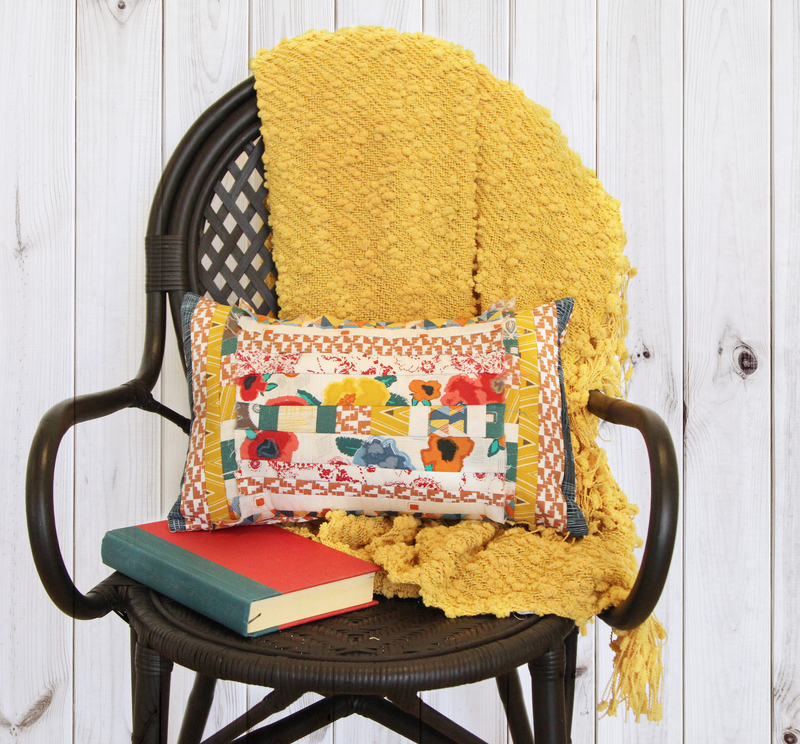 Here is a quick and easy project for all of you! And the cool part is that you don’t need measurements. Why? Well, I always wonder what to do with my left over fabrics from projects or extra quilt blocks that are just there waiting to be rescued. 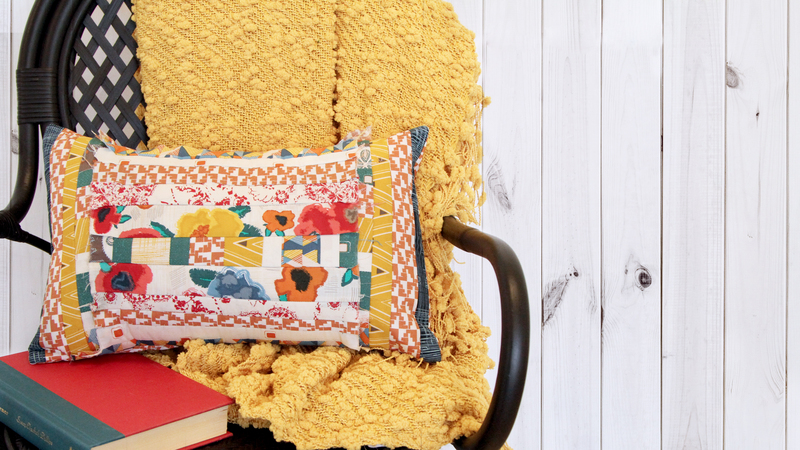 So, I decided to create a fun quilt as you go pillow with some of my Artisan Fabrics left over scraps! AURIFIL thread 2783 for the purpose of this tutorial, but you can use a matching thread or any thread that you might see fit. Cut two (2) 17″ x 12″ from ART-43103. This is going to be a super quick and enjoyable tutorial, perfect for the weekend! Like I stated, I used rescued fabric scraps from previous projects that I didn’t want to waste. 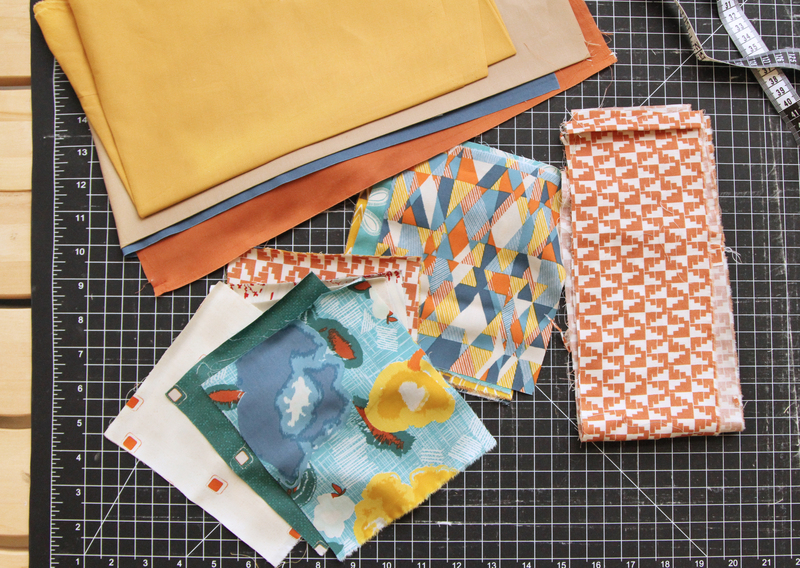 On your cutting table, place the two (2) 17’″ by 12″ rectangles of batting. Why two? This will allow your pillow case to have more texture. For me, it is easier to lay out my design on top of the batting, that way I can play around with the quilt as you go design just how I want it. In this case, I mirrored both sides with ART-4310, 43103 and 53108 along with some extra scrap pieces I had from a quilt block. You can lay your fabrics as you see fit. 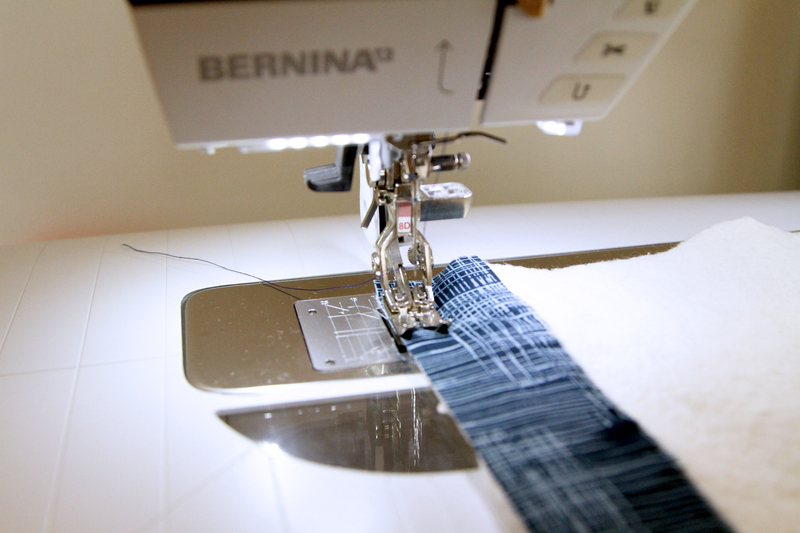 Prepare your machine with BERNINA Jeans foot #8D or Patchwork foot #37/#37D or #97/#97D, and use practical stitch #1 with 1/4″ seam allowance. Start stitching from the 17’″ long end of the batting. NOTE: Remember to always change presser foot settings when switching presser feet. Once the first strip is sewn, start attaching the rest of the fabric pieces by facing right side of the fabrics together, pin in place and stitch from top to bottom. 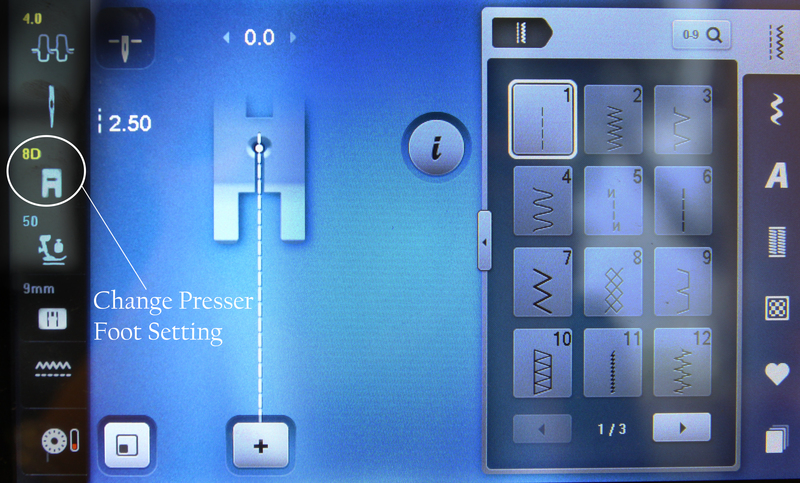 Remember, you will be stitching the batting as well. 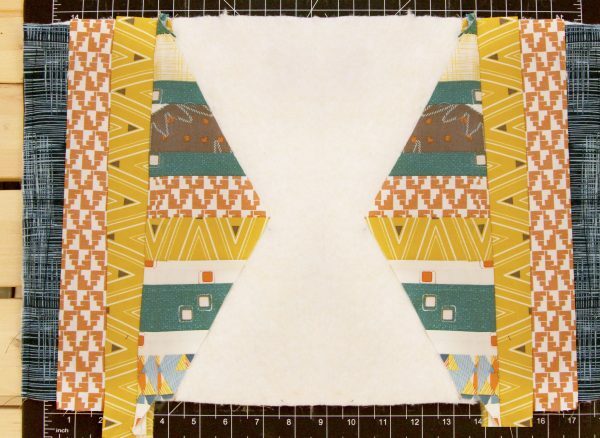 Repeat previous step with each piece of fabric on each side of the batting, using 1/4’″ seam allowance. This is the result of both sides completed. 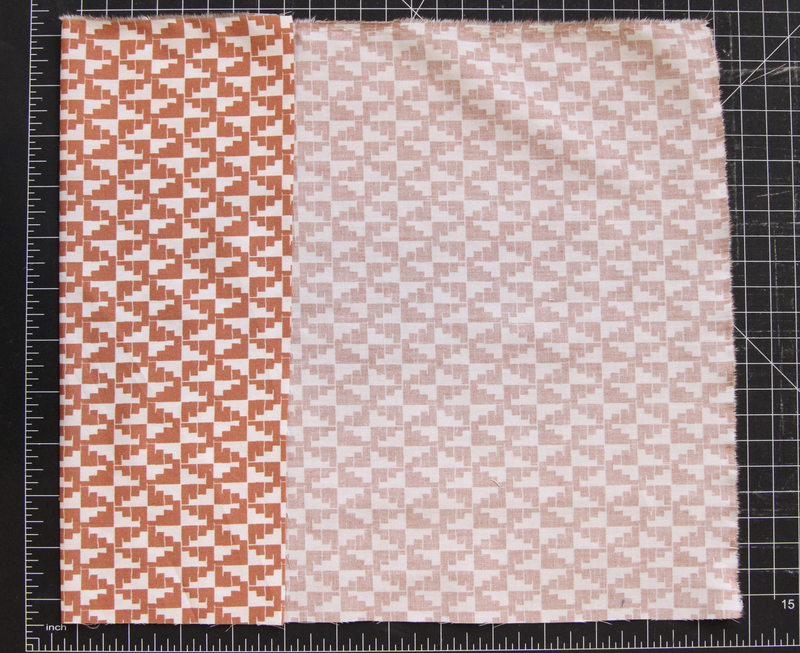 Remember, this is a quilt as you go, so your quilt design should be as you prefer. 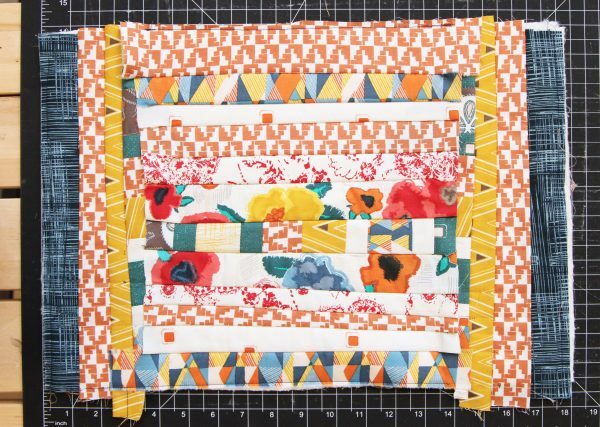 For the vertical stripes, I not only used fabric strips but also quilt block left overs. Like in the image below. Now, for the horizontal lines, start by laying your desire quilt as you go design. 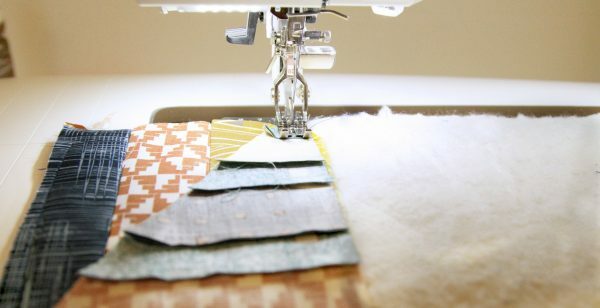 Like I said, for me this is an easy method to start quilting, with your ideas already gather, you can begin quilting as you go easier. Start stitching the horizontal strips using practical stitch #1 with 1/4″ seam allowance. 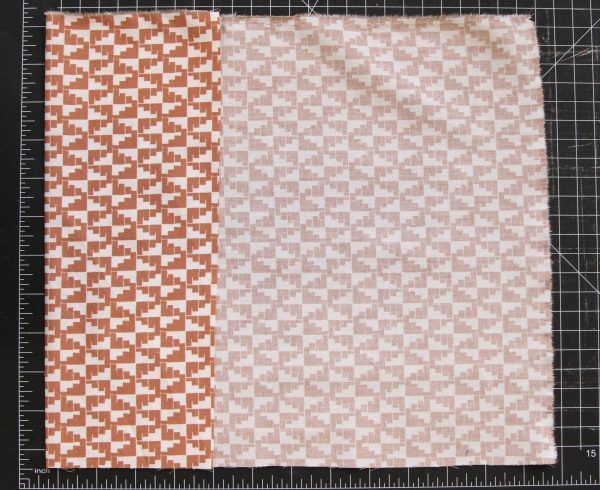 Continue stitching the rest of the fabric pieces by facing right side of the fabrics together, pin in place and stitch from top to bottom. 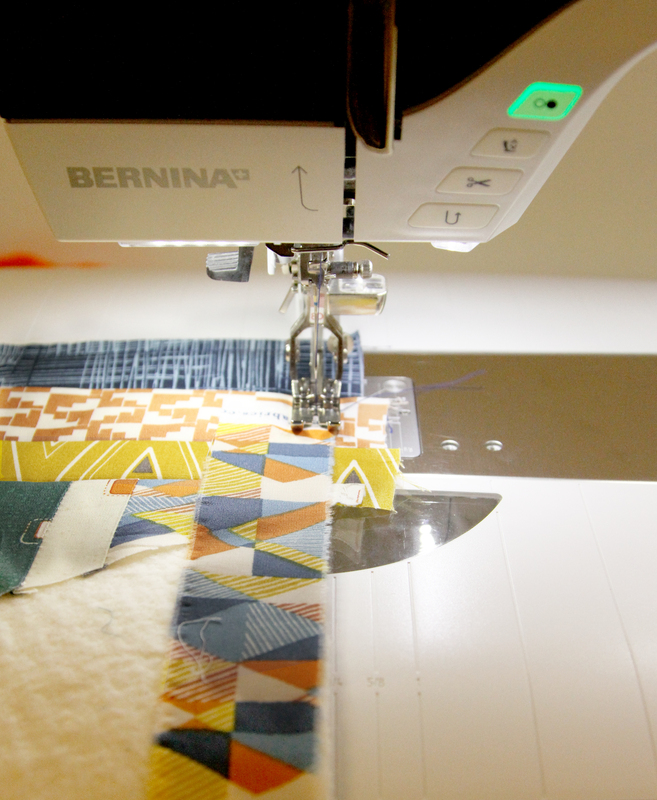 Repeat this step with all the horizontal fabric strips. 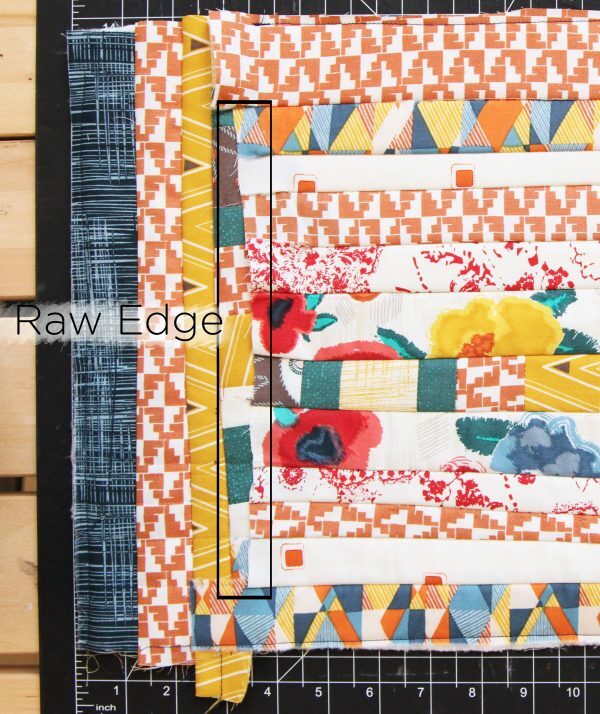 For this quilt as you go, I decided to leave the horizontal strips with a raw edged (and shown in image) to provide a more rustic allure to this project. 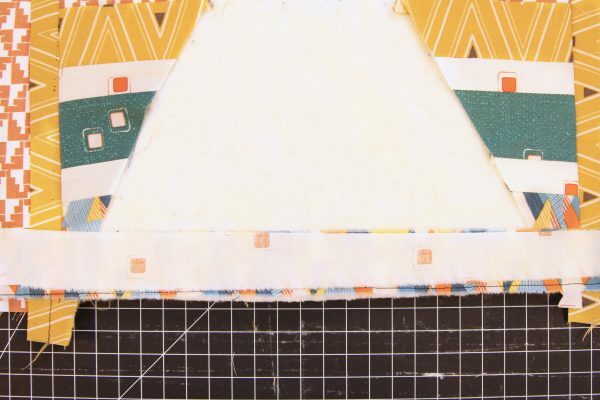 In this case, the triangular shaped blocks (pictured above) will be covered with said horizontal strips, but allowing just a portion of it to be visible. Now take the two (2) 17″ by 12″ from ART-43103 and fold 4” under and iron press, so they will not unravel over time. After this, if desired, straight stitch the folded edge. 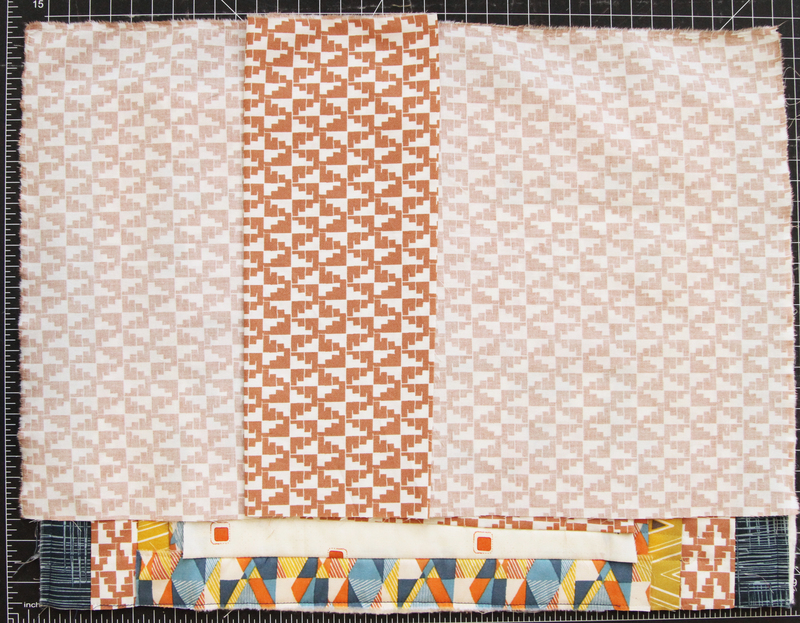 Start by laying the front piece of the pillow with the right side (quilt as you go) facing up and place the back panels on top with right side facing down. 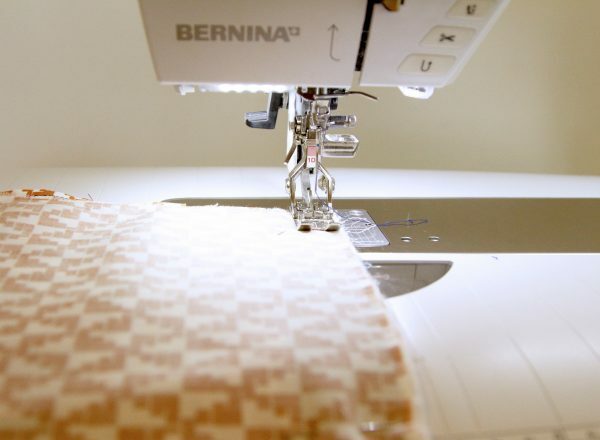 Prep your machine by switching to BERNINA Reverse Pattern Foot #1D, pin all the pieces together and sew around with an 1/2″ inch seam allowance. Fold it over and you will have your quilt as you go pillow case with a secret overlapping opening on the back where you insert your pillow body! 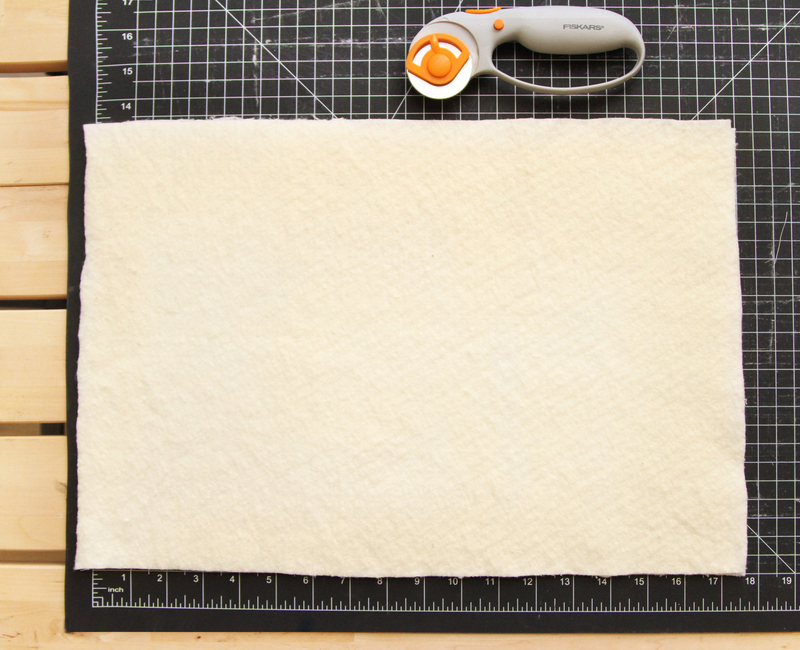 You can stuff the pillow case with poly-fil or create a pillow form. 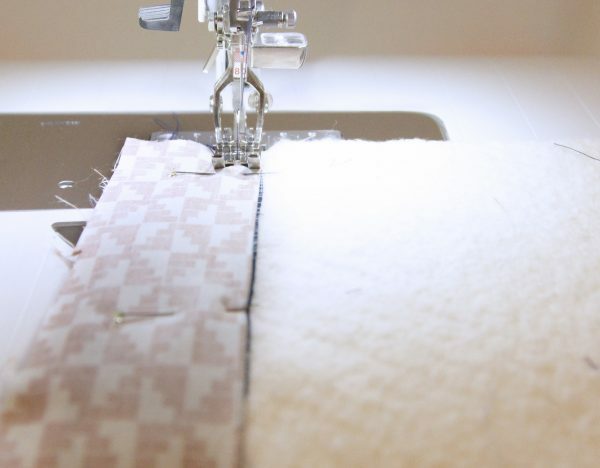 This is such an easy tutorial, it will take you less than two hours to complete! And the coolest part is, that you don’t need exact measurements, all your pieces can be measured different and your project will still be outstanding. I found this to be a great way to use all of our fabric left overs and continue creating adorable projects. Happy sewing!